ones I got so when I saw this sketch I thought it was perfect to use one for! 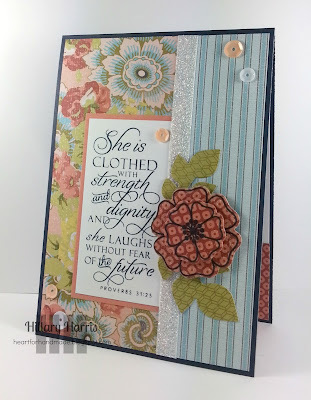 super sweet Hillary, I adore the color combo and mix of patterns....sounds like you have a FAB day off! Pure gorgeousness, Hillary! Love the soft background papers and beautiful flower. Thanks for linking up to Mojo Monday!